After numerous announcements and delays it’s finally definite: Peru’s first low-cost airline Viva Air Peru, co-owned by Europe’s biggest budget carrier Ryanair, starts its operation in May 2017. 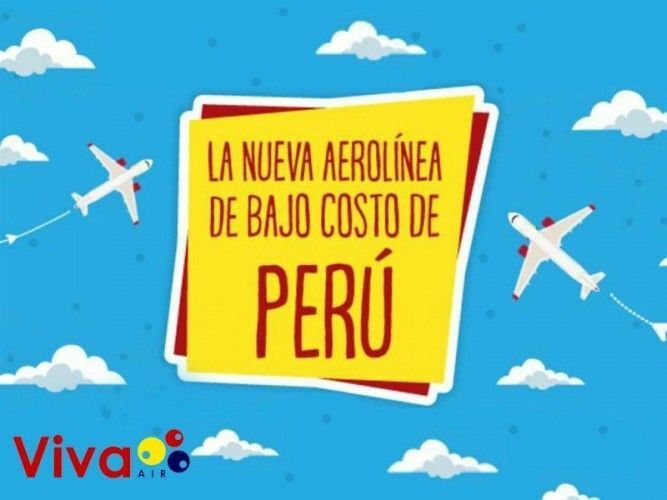 During a press conference Viva Air CEO José Castellanos Lores announced that the availability of cheap airline tickets will revolutionize the Peruvian airline market. Initially Viva Air will serve Peru’s main destinations: Arequipa, Chiclayo, Cusco, Iquitos, Lima, Piura, Puerto Maldonado, Tacna, Tarapoto and Trujillo. For now the new low-cost carrier will use two Airbus A320 with a capacity of 180 passengers each, but plans an expanding within the next three years to 10 planes. The Viva Air representative further confirmed that one-way tickets within Peru are sold from S/. 60 (including taxes and airport charges, less than US$ 20) for a flight of 30 minutes. Included in this price is only a carry-on luggage up to 6 kg. José Castellanos detailed that unlike conventional carriers, budget airlines give passengers the choice to additionally book only the services they need. So, as all low-cost airlines Viva Air Peru will as well charge extra fees for example for food on board, baggage, priority boarding or seat allocating. Where to book Viva Air flight tickets? While the first Viva Air flight takes off in May 2017, the flights can already be booked from April 2017 on the official website of Viva Air Peru. Only then the exact tickets prices for domestic flights and the costs for all additional services will be announced. Today the Peruvian Ministry of Transport and Communication finally granted Viva Peru the commercial aviation operation permit for the national air transport of passengers, cargo and mail for a period of four years. Viva Air Peru CEO José Castellanos Lores announced at a press conference that operation starts on the 9th of May 2017. The first Viva Air flight in Peru will be from Jorge Chavez International Airport in Callao (Lima) to Iquitos.